I am so excited today, not just because it's Friday, or that it is the first day of Summer vacation, but that I get to share with you this mouth watering, super moist, made by scratch pudding cake! For the ten of you that read my blog, you know me. 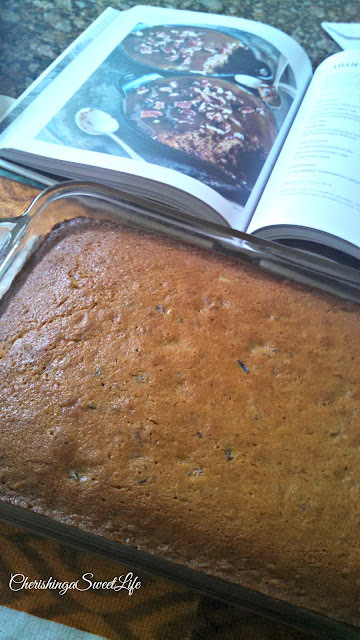 You know, sweet recipes usually catch my attention, even better still a recipe with a personal story attached to it. At the end of the post I'll post some of my favorites. Before I received "Twenty Dinners" ( you can read my review here), I've had some type of Date bread before, and it was alright, nothing out of the ordinary! Flipping through the pages, this recipe literally jumps off the page and pulled me into. The photograph was beautiful, but the story behind the recipe, caught me, and my eyes got kind of misty, how this dessert, when the author got homesick, reminded her of the cake her mother made, and it comforted her. If you've spent any time on Pinterest, then you have seen Date energy bites, or Date energy bars, they have wonderful health benefits. Although dates have a high amount of natural fructose, dates are very healthy for you. They are high in vitamins B1, B2, B3, B5, A1 and C, proteins, dietary fiber, iron (11 percent), potassium (16 percent), calcium, manganese, copper, and magnesium. 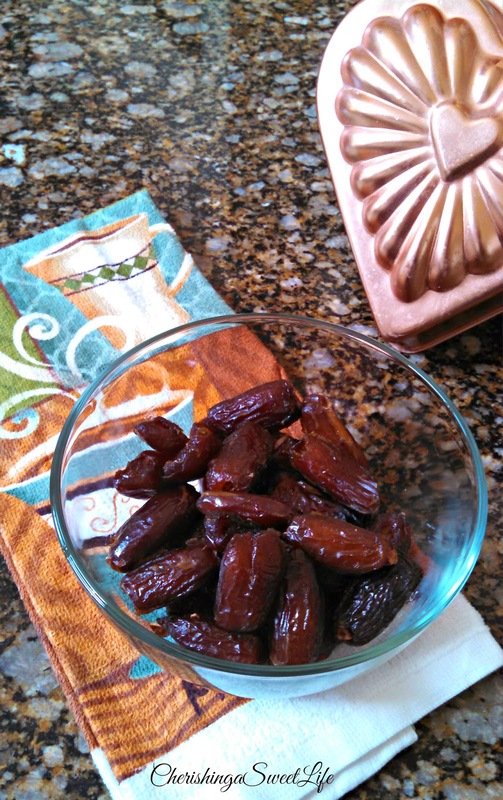 The soluble and insoluble fibers and amino acids present in dates can also help to improve the digestive system. One thing about me is I like warm, sticky, gooey desserts! Hot fudge, brownie sundaes, or salted caramel anything, with caramel oozing everywhere. Let me just say a couple of things, first chopped dates are very sticky, and the name of this recipe is an understatement. I was pleasantly surprised just how sticky it was. I understand if you find my food tastes on the strange side, and no longer want to be friends. It was after that one bite, I could see why this is the heavenly, comfort food that it is, and WHY haven't I had it before. When the Holidays come around, this is getting made. Even though my grandmother didn't make this specific cake, she made these delightful, very soft, glazed cookies, with candied fruit, and some of the cookies she'd put candied cherries, and others she put dates on top. It's been over thirty years, since I've tasted anything remotely similar to her cookies. In that one bite, it reminded me of Christmas time, as a little girl, enjoying my grandmother's not overly sweet cookies. I am forewarning you, this is a very rich, moist cake, and while not sickly sweet, it is on the super sweet side and sticky side! Preheat oven to 350F. I use butter to coat the 8x11.5 inch glass pan. Pit and roughly chop dates. In small saucepan, bring dates, and 1 1/4 cups water to boil. Take off heat and set aside to completely cool. In stand up mixer, cream together butter and sugar, for 5 minutes, until fluffy. Next time, I want to do this, puree the cooled dates and water. To the butter/sugar mixture, add 1 egg, and vanilla; completely blend. Scrape down sides of bowl. Add half the flour; scrape down sides of bowl. Then add half the pureed dates and completely blend. Scrape down sides of bowl and repeat. Pour batter into prepared pan, and bake for 40-45 minutes. Mine took 40 minutes, and it is a pudding cake, so it was a little jiggly, but firm to the touch. Insert tooth pick, it should come out clean. While cake is baking, make toffee sauce. In medium saucepan, on medium heat, cook together the brown sugar, butter, heavy cream, stirring constantly and boil for 3 minutes. Take off heat, and add vanilla. Poke small holes in cake, and pour half of the toffee sauce over cake. Reserve the rest to spoon over cake for serving. Roast pecans in a 275F oven for 5 minutes. Watch carefully, because they can burn. Garnish with whipped cream, and/or Sea Salt. As always , I saved a slice for you! Hope you have a lovely and relaxing weekend! Want to stay connected & up to date with Cherishing A Sweet Life? Don’t forget to follow on Facebook, Instagram, & Pinterest! As promised, this is the cake that started it all ! Here are several of my favorite post of recipe stories! I love gooey sticky sweets too. This sounds wonderful! I love that it brought back memories for you as well even though it wasn't something you specifically grew up with. You'll have to remind us about this when the holidays roll around so we can all make one! OH MY GOODNESS....I want this (and I think I gained 5 pounds just looking at it)! This looks divine! Thanks CB for adding my individual meatloaves. First of all...YUMMMMM on this recipe! OMGOSH!! Secondly, thank you so very much! I appreciate the shout out and the sweet words about my photography. I enjoy it so much. I just wish I had started much earlier than I did, but hey, you're never too old, right? I see Clara (recipes from The Great Depression) and see that her age didn't discourage her so why should I let mine discourage me??!! I'm trying to talk myself into Instagram, I'm just not there yet! PS...if you don't mind, I've added you to my side bar of blogs. This is heaven on a plate! Looks gooey and delish! Thanks for sharing with us at the Home Matters #homematters linky party. We love having you and hope you join us again. It's the pecans that hit this one over the top for me! Enjoying being a co-host with you for OMHG Wordless Wednesday! I agree with Shellie - love the pecans! Yum yum! Great co-host OMHG Wordless Wednesday with you! Your Sticky Toffee Pudding looks fantastic! Thanks so much for sharing your post with Full Plate Thursday. Hope you are having a great day and come back soon! Your recipe sounds wonderful and anything that is related to reminders of childhood are a good thing, those are comfort food recipes. What a yummy recipe. Thanks for Co-Hosting with us on The Oh My Heartsie Girls ww this month, it is pleasure having you with us! Thanks so much for dropping by my blog today, Christine. This recipe is awesome! Sticky Toffee Pudding is a very popular dessert in England (where we lived for two years). I've pinned it! Hi! I just found your blog! How awesome that we both love Sticky Toffee Pudding! As a matter of fact, I just posted my recipe on my own blog! It's similar to yours! It is my favorite dessert ever! Thanks for sharing your recipe! It looks wonderful! Yummy! Makes me hungry ;) It's been great co-hosting wordless Wednesday with you! Thanks for sharing with the Say G'day Party! All your submissions pinned! Look forward to seeing you next week! 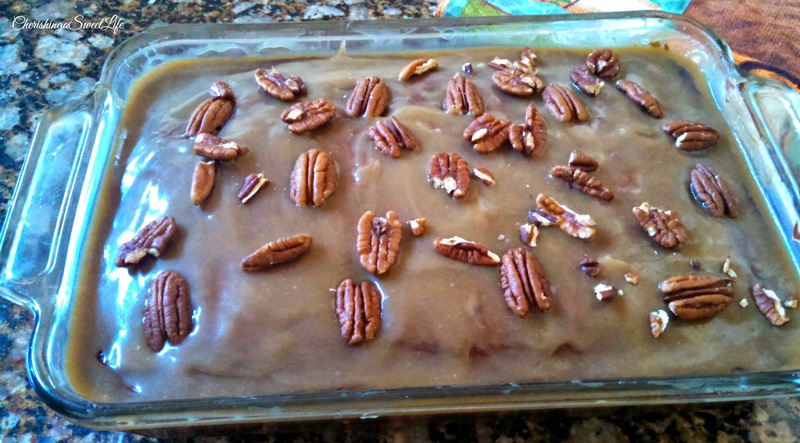 Dates, pecans, and brown sugar--can't go wrong! Thanks for linking up and sharing your recipe and great story with us at Funtastic Friday. Hope you join us again this week. Hi Christine, wow this pudding looks so awesome and thanks for sharing this recipe. We love having you at Cooking and Crafting with J & J each week. A Week in CASL photos: May 25th- May 31st! Follow Friday 21: Happy May Day!